I do make-up for brides and any event. 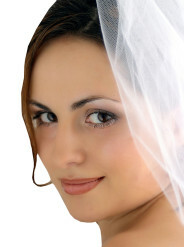 My goal is to make sure that you will look and feel great on your special day. I use only the best products from the world’s top brands along with cutting edge technologies that deliver a glamorous look that will give you the confidence and poise for any event, such as wedding make up, fashions modeling special accosionas I’ll provide make up service anywhere in Toronto area. Please contact me at 647-291-1404 Yael Bar.